EduWeek is the largest education event in Sub-Saharan Africa following the motto “Advancing Education in Africa”. It showcases the latest technologies developed to help the educational field and brings together stakeholders to discuss the future of the sector. Education professionals, governments and NGOs –among others– get together to discuss the issues education still faces in Africa and how they can be addressed. Even though EduWeek is a broad event where many companies can exhibit their products, it features a special platform: LaunchPad, an area promoting startups and entrepreneurs coming to the event with disruptive technologies to revolutionise the educational field. It is an opportunity for them to show the product they have developed but also to create a network of support by meeting the field’s stakeholders. The EdTech Asia Summit doesn’t focus on promoting technology, unlike the EduWeek event; its main goal is to bring together the biggest stakeholders of the EdTech sector in order to disrupt it. On top of organising workshops and introducing keynote speakers from renowned institutions such as 500 Startups’ Venture Partner Eddie Thai or Omidyar Network’s Associate Hannah Nguyen, the EdTech Asia Summit is invested in bringing people together through networking events designed to build partnerships across markets. Entrepreneurs have a lot to gain from attending the EdTech Asia Summit as they can meet many VCs and private equity investors. On top of this, the Summit selects the best Asian startups (and individuals) to compete for one of the Awards such as the Innovation Award, the Impact Award or the Most Promising Startup Award. These startups can then use their visibility to have a bigger impact on education. This year, the FinTech Conference Latam focuses on “El Dinero Digital”, or Digital Currency. The second edition of this event is powered by Alta Ventures and Google, making it a perfect opportunity for those interested in focusing on a more technical aspect of these technologies. Past workshops included “Mobile Development with Firebase”, “The journey from Big Data to Machine Learning” and “Running Operations on GCP”. In parallel, keynotes are given by speakers from various backgrounds offering different points of view. Q&A sessions and panels are also organised to approach the themes differently. Finally, a few entrepreneurs in the FinTech sector are selected to present their startup in front of the audience. Seamless is a big event where 4 exhibitions on important financial topics take place simultaneously: Payments, FinTech, e-Commerce and Retail. This event’s main goal is to allow networking with professionals of the financial sector as more than 10,000 experts attend this event. Moreover, Seamless allows attendees to meet more than 350 technology suppliers presenting their innovative solutions. On top of these opportunities, the event is the perfect occasion for startups to gain visibility, not only in the region but globally as the event attracts people from North Africa and South Asia on top of locals. First, Seamless has a special Start-Up Pavillon allowing 16 startups to exhibit their product and attract potential customers. The event also hosts a “Pitch Off”: 20 early-stage startups each have 3 minutes to pitch their solution on stage to a panel of VCs and consultants. Finally, the Seamless Awards reward, among other categories, the “Startup of the Year”. 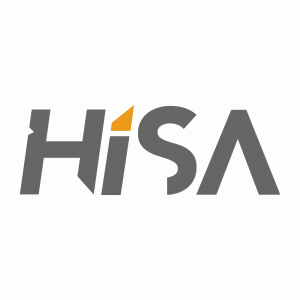 HISA is an important HealthTech event in Africa focusing on transforming Healthcare on the continent. One of the ways it does so is by bringing many big players to the table. First, entrepreneurs present their solutions and academics in order to have a technical perspective on healthcare. On top of them, public and private hospitals, clinics and hospices attend the event as the primary clients. Finally, policymakers are also present. Parallel to visibility the startups can gain by being exposed to such an audience, many contemporary topics of the HealthTech fields are tackled. They range from delivering personalised healthcare using artificial intelligence to electronic health records and the importance of IoT (Internet of Things) in healthcare. The Asia Healthcare Summit, hosted by IBC, is a big event where 3 conferences take place at the same time. This allows the summit to broadly cover the many aspects of healthcare. The most relevant of these conferences for Asian entrepreneurs with startups in the HealthTech sector is the Digital Healthcare Conference. Unlike the previous Summit we mentioned, the Digital Healthcare Conference has a very specific goal: improving the accessibility of healthcare to patients through technology. On top of the presentation of case studies, medical and “information, communication and technology” professionals come together to discuss the different ways the digital revolution can keep revolutionising the healthcare sector. Taiwan’s Asia AgriTech Forum takes a very different approach from traditional technology events. Agriculture Technology is used here in its widest sense as it encompasses the technological breakthroughs both in the production of goods and in the use of computer systems to help farmers keep track of their finances, test their services or even secure their land. Moreover, it is colocated with Aquaculture Taiwan, another field where computing is fundamental in many ways. These events do not center around speakers as much as they do around exhibitors showcasing their products. Indeed, the hall where the exhibition takes place spans over 3.800 m2 where more than 180 stands are set up. Thus, it is the perfect occasion to connect directly with clients and sell the solutions developed by entrepreneurs. The Seedstars Summit is the biggest global tech event featuring startups from emerging countries. For its 5th edition, Seedstars Summit will gather +65 startups coming from the emerging markets and hence hold the world's biggest startup competition of startups coming from those countries. The startups have been carefully selected by the Seedstars teams based and travelling all around the world and will compete for many different prizes by pitching on stage. During 4 days, the event will host hundreds of investors, entrepreneurs and mentors coming from +65 countries. The first two days are dedicated to bootcamp sessions and workshopson topics such as Fintech, Reproductive Health, Ed Tech, Civic Tech for entrepreneurs. On the 3rd day will be held the investor day and on the last day speakers will deliver keynotes and the 2018 startup world competition will take and end with the award of prizes. Thanks to Innovation Time for kindly providing this article. 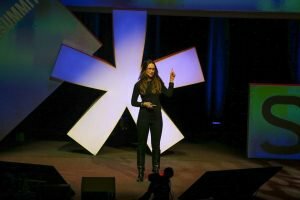 Would you like to join the 5th edition of Seedstars Summit?